The Chiefs and Councils of the Saugeen Ojibway Nation have sent a letter to Prime Minister Justin Trudeau in support of the Wet’suwet’en Hereditary Chiefs and their attempt to protect their lands. Below is the text of that letter in its entirety, but to see a copy of the actual letter sent please follow the link at the bottom. We, the Chiefs and Councils of the Saugeen Ojibway Nation wish to express our support for the Wet’suwet’en Hereditary Chiefs who are attempting to protect their land by blocking TC Energy’s Coastal GasLink pipeline from Alberta to the BC coast. We understand that the environment of their traditional territories falls under their jurisdiction in Wet’suwet’en governance. We understand GasLink will carry gas from Alberta obtained by fracking – a method that causes great stress on the land and those of our relations who inhabit the land. We also understand that the Chiefs sought intervenor status at the National Energy Board’s hearing on TC Energy’s Coastal GasLink project this coming April but were denied. 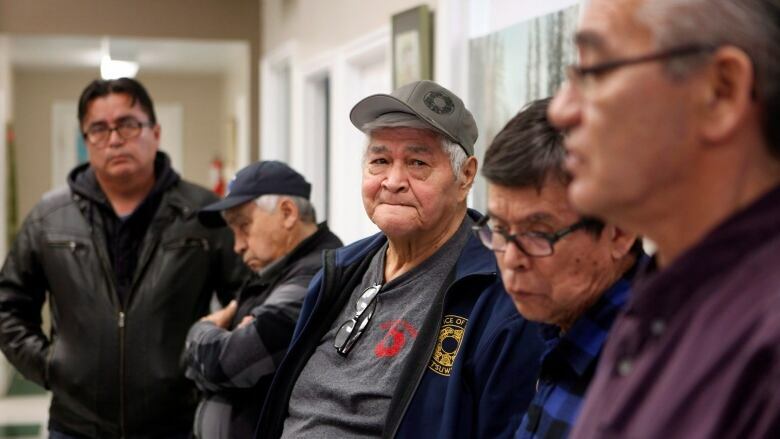 When the Crown or its agencies refuse to hear from an important group within a First Nation, it will be seen as attempting to divide its communities in order to impose its will. This is not in the spirit of proper consultation and is a long way from the idea of consent as articulated by the UN in its Declaration on the Rights of Indigenous Peoples. Canada’s history is replete with instances of First Nations people forcibly removed from their land. Whether by government policy or police action, the result is the same – economies and cultures are destroyed, ecosystems ravaged and disconnected. The images of RCMP officers physically removing Wet’suwet’en people from their land reminds us of that history. We understand that the NEB will deliberate on the matter of jurisdiction regarding the Coastal GasLink pipeline in April. As previous court decisions have indicated, building sections of a pipeline within a province and then linking them together does not mean the pipeline is excused from federal assessment. If that is the case here, BC’s injunction against Wet’suwet’en camps may have been illegally obtained under Canada’s law, and the physical removal of First Nations people from those camps especially egregious. Canada prides itself as being a nation governed by the rule of law. But when Canada deals with First Nations, we must ask, “Whose law?” Consultation and reconciliation demand respect for rules and systems of government that were in effect in this land long before people with Western European ideas of governance immigrated here.